Saying goodbye to Poussey Washington in the latest season of Orange Is The New Black certainly wasn't easy, but it has allowed many to say hello to the actress who played her. Since Poussey's heartbreaking and powerful death scene on OITNB, which saw her accidentally suffocated by a guard in a moment inspired by police brutality and the Black Lives Matter movement, Samira Wiley's career has been on fire. For anyone who's watched the Netflix series about female prison inmates, it's no real surprise that Wiley is quickly becoming a go-to actress for complicated roles in highly acclaimed projects. Wiley has been cast in The Handmaid's Tale, an upcoming Hulu original series based on the Margaret Atwood novel about a dystopian society where women lack the basic rights and the few fertile women, known as "handmaids," are used to increase the population. Wiley will also guest star on FX's You're The Worst, created by OITNB alum Peter Falk. On the upcoming third season, Wiley will play Gretchen's therapist as she deals with the depression she struggled with last season. As Poussey, Wiley gave us everything she had. There seemed to be no emotions she couldn't hit — and Orange Is The New Black certainly runs the gamut. In her four seasons on the show, Wiley gave us a performance that didn't just get at the aspects of prison life, but at living in general. With just one look, Wiley was able to convey so much about the human condition, whether that was hope, sadness, disappointment, humor, or a combination of all these things. That's probably why creator Jenji Kohan ended Wiley's storyline not by mourning Poussey's death, but by celebrating her life. In the last seconds of her final episode, Wiley looks straight into the camera — something the show has never done before — with a smile. It caps off an episode that deals with the aftermath of Poussey's death by showing us the character before she was in jail. Just before she would be incarcerated for trespassing and a low-level drug offense, she had the most exciting night of her life in New York City. Poussey attempted to see the Roots, but ended up with the Rootz. She had her phone stolen, which led to her dancing with drag queens and riding bikes with fake monks in Brooklyn. She was living her life to the fullest and that final shot of Poussey makes that clear. She looks out at anyone watching with a smile that at first seems trepidatious, but then gets wider to reveal a hopefulness. This look of not knowing what's next, but being excited to go on that journey. That final look doesn't just celebrate her character; it celebrates the woman who gave life to this character. The woman who made us laugh and who made us respect a prisoner who is more than the sum of her crimes and mistakes. With that smile, Wiley takes the next step in her career. 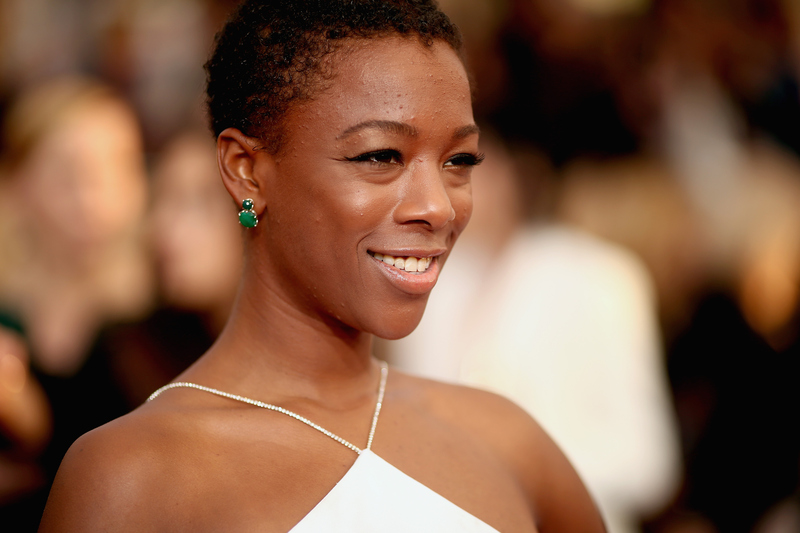 She's got so much left to give fans — maybe not as Poussey Washington, but as herself. Wiley is more than this one beloved character, and she'll get to show the world that sooner rather than later. These new roles she's signed on for get at the depth and vastness of Wiley as an actress who can go from a sci-fi feminist thriller to a comedy that deals with mental illness right after finishing up a dramedy that looks seriously at the prison industrial complex through the eyes of real people. Like Poussey, Wiley is not just one thing, and she's about make that even more obvious. Poussey Washington is gone, but Samara Wiley isn't. With every role she continues to take, she makes sure neither of them will ever be forgotten.